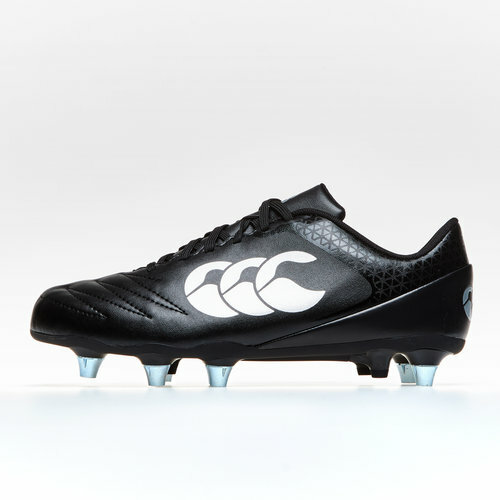 A boot designed for the tight five forwards looking to dominate at the set piece, players with a focus on power will enjoy lacing up the Canterbury Stampede 2.0 SG Rugby Boots. This boot is built for power, perfect for amateur level, a durable PU upper and reinforced toe box combine for a comfort and durability. Engineered on a wide foot sole plate and with an 8mm heel raise players will enjoy an aggressive foot position when accelerating around the field, this will also limit lower limb strain throughout the season. A combination of 8 studs and plastic blades will help when getting into low body positions in the ruck and when scrummaging.